If you suffer from neuropathy — also known as nerve damage — that causes unpleasant side effects and hinders your quality of life, you don’t have to live with it. 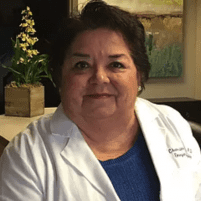 At St. Luke Integrative Medical Center in Huntsville, Alabama, Dr. Yvonne Ortega treats symptoms of neuropathy using the most advanced, cutting-edge treatments. She’s the leader in stem cell regenerative medicine, and the top in her field. Call to book an appointment today, or schedule one online. Neuropathy is nerve disease or damage that comes from various medical conditions or injuries. Nearly 20 million people in the United States suffer from peripheral neuropathy, a common form of neuropathy that occurs when the peripheral nervous system is damaged. There are more than 100 forms of peripheral neuropathy. You may also experience heat intolerance, digestive problems, changes in skin and hair, or difficulty breathing when you have neuropathy. More than half of people with diabetes end up with some form of neuropathy. Dr. Ortega provides the most advanced neuropathy treatment that reduces or eliminates symptoms altogether. Dr. Ortega conducts cutting-edge tests to get an in-depth look at what’s causing symptoms and provide you with the premium neuropathy care you deserve. Dr. Ortega delivers noninvasive neuropathy treatment with no medications, no surgery, and no pain. She’s the leader in the latest regenerative medicine for neuropathy using stem cells. This form of neuropathy treatment renews, replaces, and engineers human tissue to restore nerve cell function. When you’re ready to find out more about the latest advancements in neuropathy treatment, including stem cell regenerative medicine call St. Luke Integrative Medical Center or book an appointment online with Dr. Ortega today.